The much anticipated part three of Shelley Ander's blog series is finally here! If you haven't read her two previous posts, make sure you catch up first! A long time ago, in a floral galaxy far, far away… there was battle raging on. It was US and THEM... THE COMPETITION. If you owned a florist or floral design company, any other florist around was your adversary. If you spied them at the floral market you nodded, smiled your polite hellos, threw shade, coveted their flower cart and kept on moving. You envied their progress and knowingly applauded their downfall. You may have even pulled a Katy Perry and tried to lure their employees away. No? Oh wait. Was that just me? Oh, who are you kidding Miss Polly Perfect, we’ve all been on that dark side and it ain’t good... In the old days, you stayed on your side of the fence and they stayed on theirs. That was the American Way! Old school florists, you know who you are and what I am talking about. I jest, but it was kinda true. Now don’t get me wrong, you had your florist friends and you may have shared designers, but they were in other cities. The further away from your zip code the better your friendship, and if they were in another state you were practically besties! We were a protective lot back then. There was more than enough business to go around, yet we did not like sharing it very much. All of that is changing. And it has never been more apparent than right now. 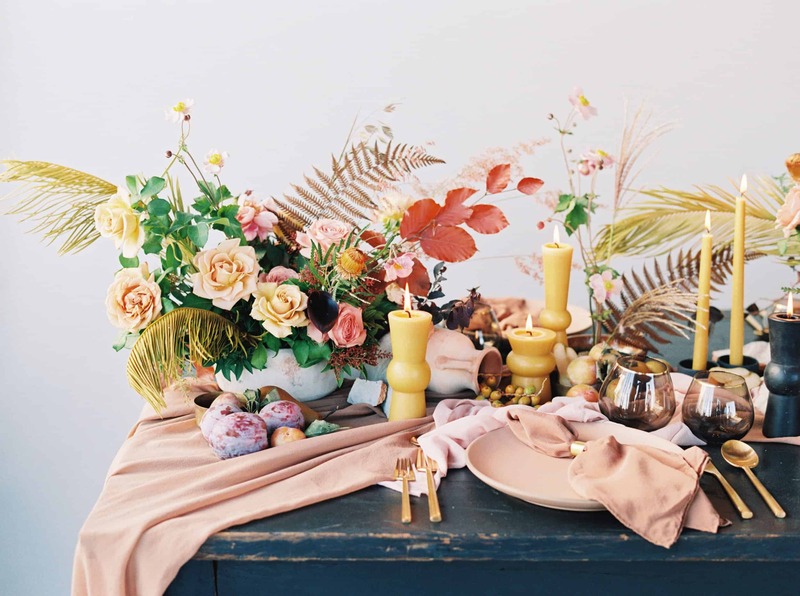 The newer generation of floral designers (female in particular) have reached an almost zen-like community of inclusion and sisterhood. I see this every day here at Mayesh. Where people barely spoke or acknowledged each other, they are chatting and discussing each others’ carts, the events they are working on and more importantly they are working together. Collaborating. In today's environment there is much more of a willingness to work together. A new collaborative spirit amongst our designers, new and old. I see more and more of them at our locations chatting, sharing notes and networking than in the past. There is more of a sense of camaraderie. The US is the florist, the THEM the consumer. We are all in this thing together. With the world shrinking due to social media exposure and constant internet access, it is changing the face of the floral landscape for everyone. There is even more competition than ever before, yet there is more collaboration than ever before. A few years back I owned a flower shop. Actually, I have owned two. The first in Dallas, TX in my early 30’s during those floral days of yore. My second was a shop located in the Arts District of Downtown Long Beach. A grungy, bohemian landscape full of millenials, coffee shops and a bootstrap spirit where I had a dream of opening a eco-friendly shop that carried organic or locally grown flowers, upcycled and repurposed vases, and art. My landlord and amazing Oklahomian named Roni Skeen took a chance on me and Primal Flower was born. After practically starving the first year, things started falling into place for my business. People loved my concept and it was really taking a hold in Long Beach. 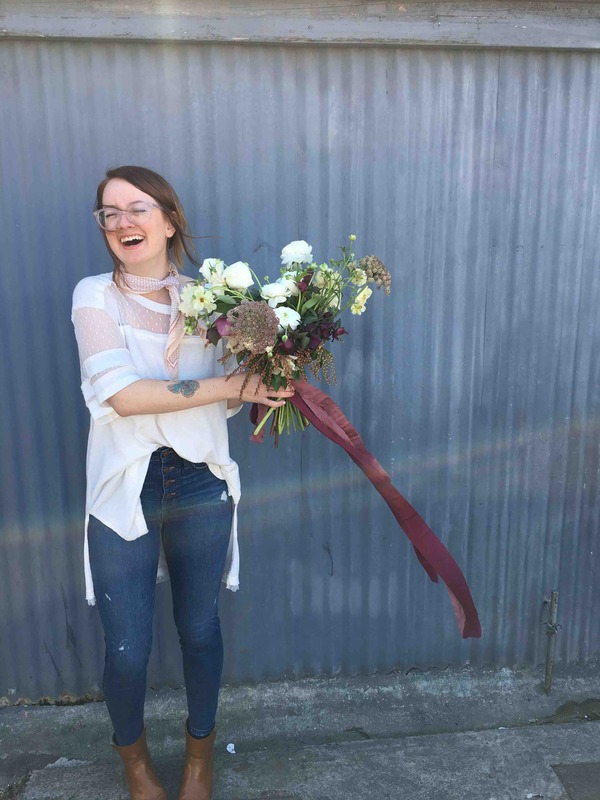 It was early into my second year when I had a lovely email exchange with the very popular, Southern California floral designer and Long Beach native, Megan Grey from Honey and Poppies. One of the originals in the early garden revival movement and exquisitely talented. I had apparently sent an acquaintance of hers flowers. The young lady’s husband had ordered them from me after finding me online. Megan had seen the flowers and was blown away by them and wanted to know where they had come from. I was so very flattered; of course I knew who she was and was a fan. At the time there were no retail shops in Long Beach doing quite the throwback lush garden look that I was getting known for. Remember that magazine article about Saipua? I had really loved that she had brought that look back and I was fully on board bringing it to my new community in Long Beach. What really impressed me was Megan’s kindness and willingness to reach out to me, someone who could be looked at as her new competitor in town. Well if you could call me that... let’s just say that Megan Gray is in a league of her own. Okay, I say I was impressed... more like shocked. The design Megan saw & loved from back in my Primal Flower days! 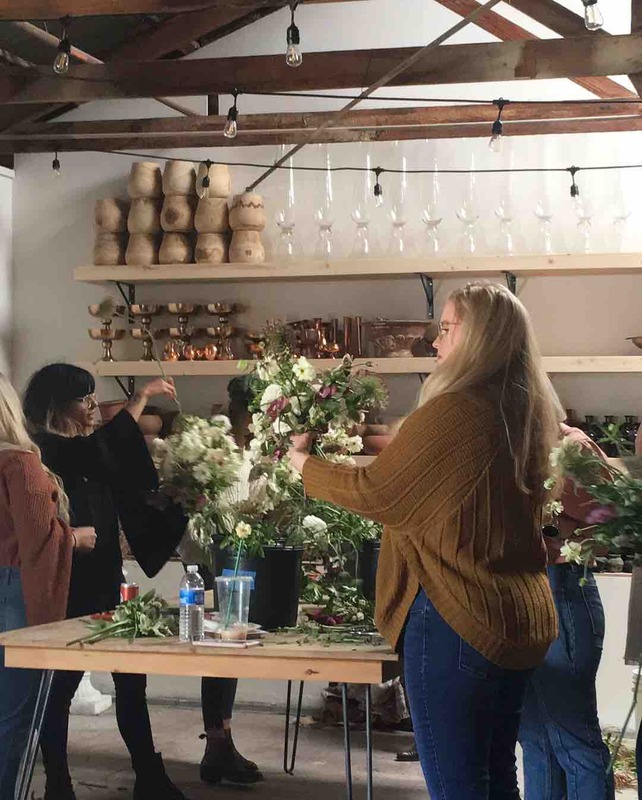 But it was one of the first signs of many that I would start to see with this newer generation of florists that I had not really experienced as much with my generation of florists. Not being threatened by each other and a willingness to collaborate and work together. She would send weddings my way when she was not available and I was very appreciative. Collaboration is not necessarily new. Flower shops and florists have for years networked and worked together. 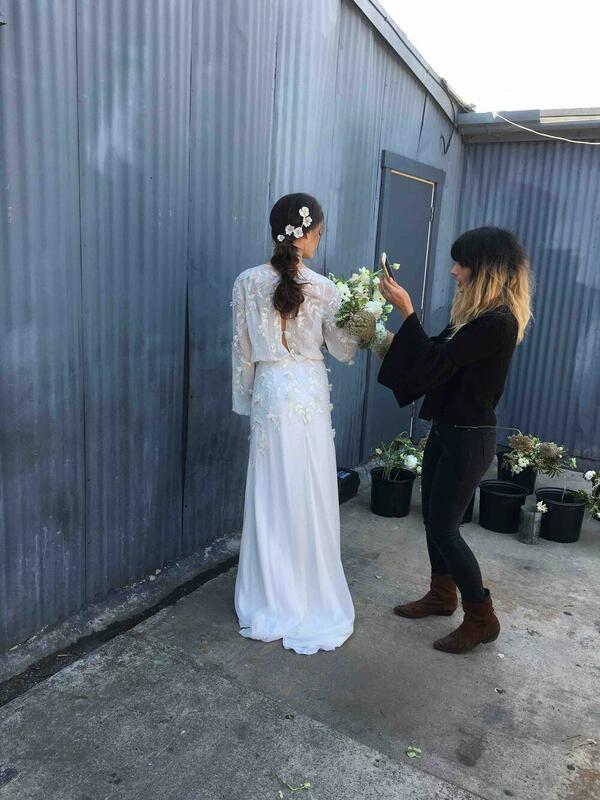 I have many times freelanced and helped my flower friends over the years with their weddings and events. I have gone back and worked with former employers and helped them from time to time when the needed an extra hand. But in general, most shops kind of kept a respectful and not always friendly but definitely competitive distance from each other. So what gives now? Why the change? 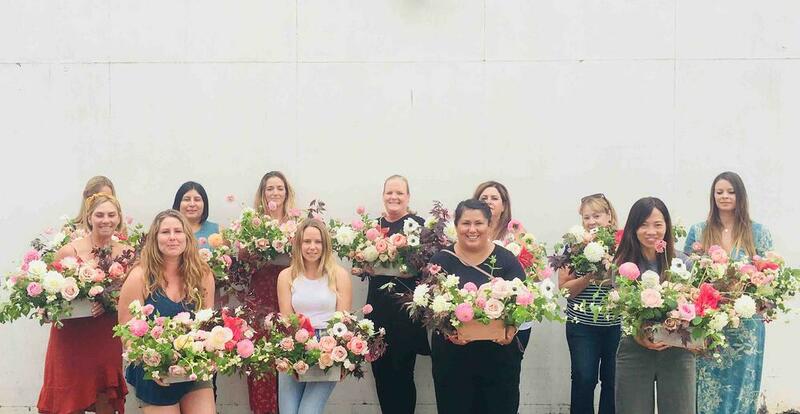 Florists are finding that they need each other as sounding boards and mentors. There is a huge community of online floral chat groups on Facebook alone. You can get support and questions answered from your peers. Things that you may have needed help with but were too embarrassed to ask before. Or maybe you are just super stoked and proud of something you just created and want to share it with your peers. It’s great getting honest feedback. 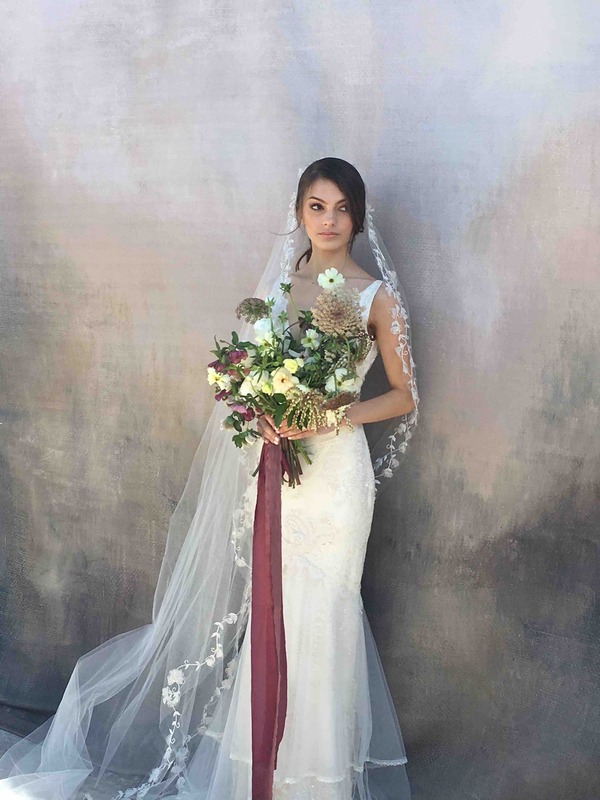 Holly Chapple started Chapel Designers, “an international collective of wedding and event floral designers. 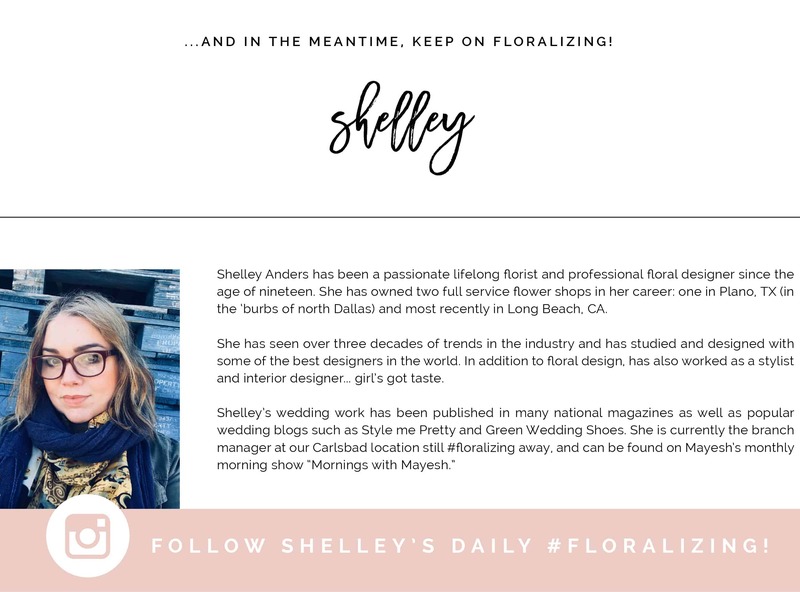 The organization not only educates, supports, and mentors creatives, but also encourages the individual designer to be his or her most authentic self.“ And there are great florists blogs out now like Flirty Fleurs and Debra Prinzing who writes a blog and published a book about the slow flower movement. Forming strong alliances with your contemporaries makes smart business sense, especially in this type of business which is heavily dependent on artistic design. Finding a few good florist friends whose work you value and trust to help you out in a pinch during an illness or unexpected family emergency or god forbid an unforeseen tragedy is worth its weight in gold. Another added benefit is continuing education. We are all in a constant state of learning and this strange little business we have all found ourselves often times floundering in has not given us any floral training. Some of us have worked in shops for many years. Some of us have started our own businesses from scratch and are very self taught. Some have gone through the entire AIFD process and gotten certified. But unless you work with other designers of many different degrees of experience and skill level you really are limiting yourself. A new trend we have seen explode in the past couple of years are individual mentoring sessions and workshops. 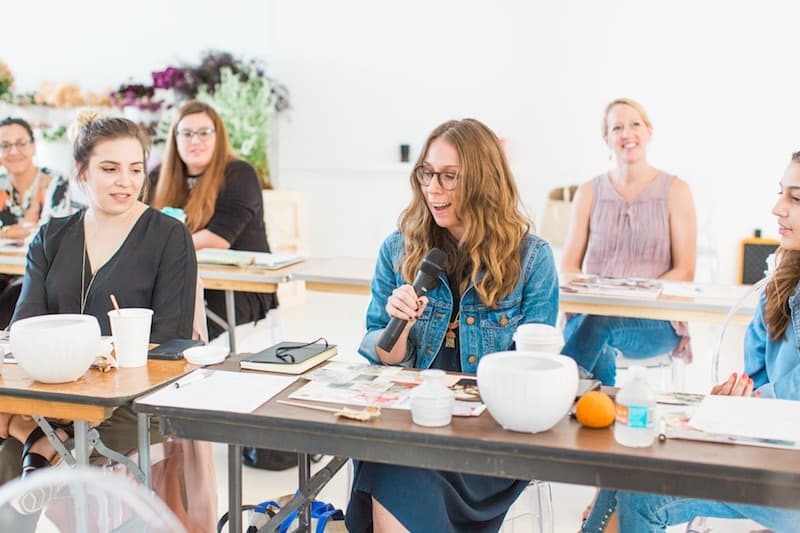 Mayesh has its own Design Star and does a traveling workshop series that promotes continuing education as well as a video series. Many florist now do workshops, and while not necessarily a new thing, the way they are being done and promoted is new. In the past you just showed up at your local flower shop and took a class, and maybe refreshments were served. Now it is an event with sponsors and floral bling. You could walk away with a swag bag of goodies from many different vendors. One-on-one mentoring is relatively new as well. 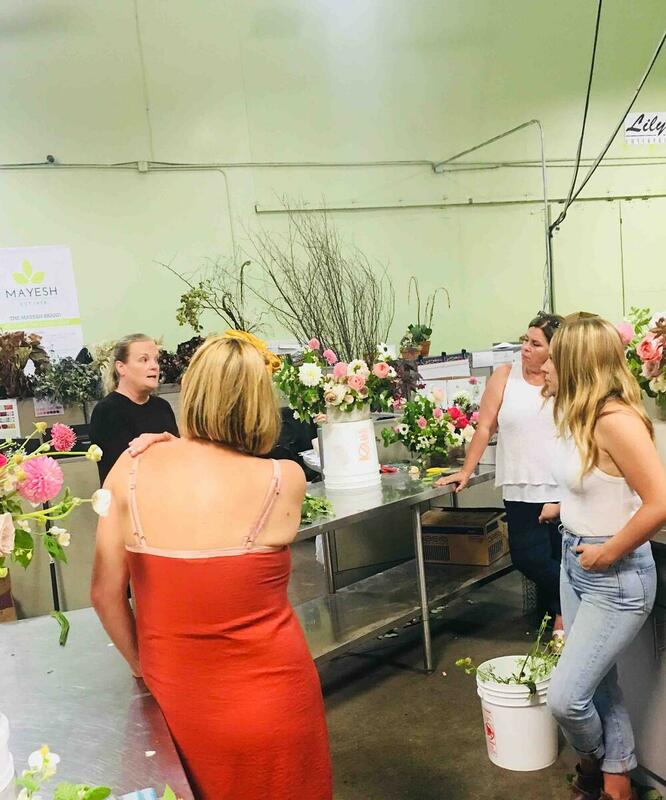 I visited with the wildly popular Rachael Lunghi from Siren Floral Co. during one of her workshops. She is based here in San Diego and hosts many workshops. She also has many florists who fly from all over the country to visit with her to learn her special mojo during paid mentorships. Her classes are always full of hip women: young and mature, newbies and OG’s who want to learn from this magical, ethereal young lady. In the past you could barely get your fellow floral designers, manager, head designer or contemporaries to teach you anything so great was the fear that they would steal something from you… your talent or your clients. Not so much anymore. I recently interviewed the enormously talented and very lovely Carla Kayes owner of Carla Kayes Floral Design in Temecula about the recent trend with the newer generation of florists’ more collaborative spirit: “I feel like I have gained so much by helping somebody else because everybody does something different, and they possibly do something more successfully or more efficiently than what you do.” She also adds that “ten years ago it was a different story, things were ugly. Now people work together and it makes everyone better, we all get better when we share information and knowledge.” Carla should know, she has had one of the most successful rebranding campaigns of recent memory and a lot of it had to do with her willingness to learn from and work with her newer contemporaries. This also helps create a united front when it comes to pricing strategies, something florists have always struggled with. If everyone is on the same page and and keeps pricing transparent and open, it helps with consumers who are price shopping. I have heard from several of my clients who have told me that because of the open, collaborative nature of their relationships with other wedding florists and shops that when they are price shopped, they all can discuss it... “oh yeah, that bride hit me up too.” At least they can feel confident that they are being chosen for their work and not just because the were the cheapest. 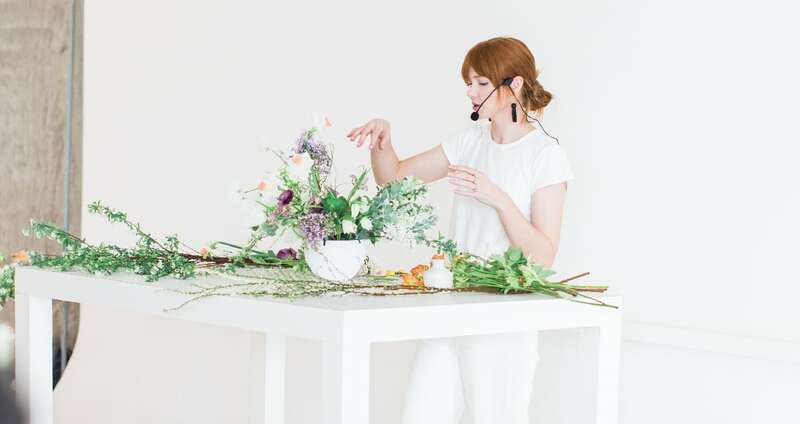 With the explosion of one-on-one mentorships, workshops and webinars there are more and more ways to learn and work as a florist these days. Don’t be afraid to reach out to a florist you admire and ask about networking or freelancing for them. Always be respectful of their work. Absolutely ask permission to photograph any work that you are doing for them. It is their intellectual property. Always tag them and request permission to use any photos of said work on social media. Respect their neighborhood, find your own area or zip code to work in that doesn’t cause a conflict of interest. 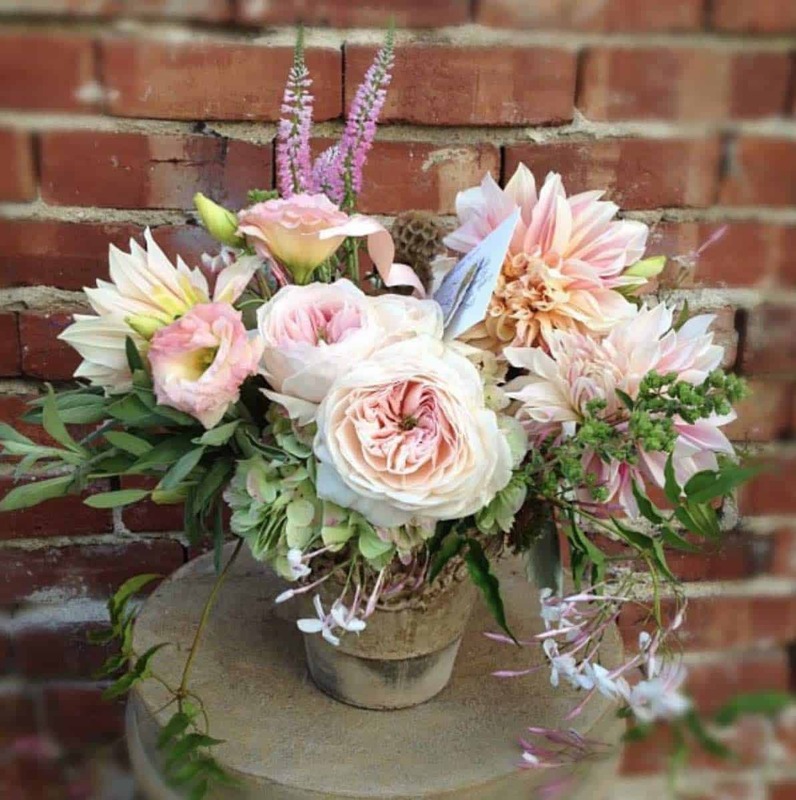 For example don’t host a workshop or event a street over from your friend’s flower shop. Have integrity! Never try to steal a client out from under your florist friend. Don’t steal staff from another flower friend. Did Katy Perry and Tay Tay not teach us anything? Flower feuds are not any prettier. 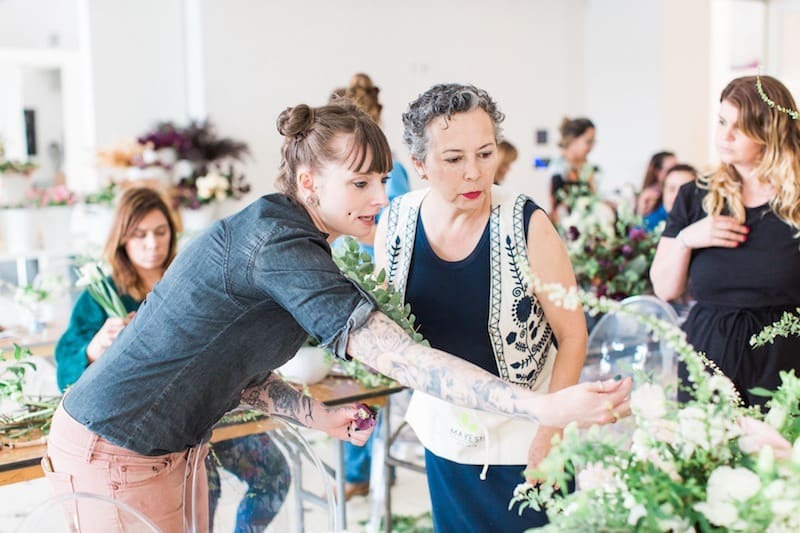 Make sure you are there to work and not just there to get a free “workshop” out of your chosen florist. It’s okay to fangirl, but have integrity here too. Keep the million questions and digging into vendor secrets to yourself. People have worked hard to get where they are and you baby florist, need to learn how earn your stripes too. You will be much more respected and asked back in the future. They will see right through your shenanigans. Sign a non-compete in these instances. Above all, do unto others as you would have done to you.